Movie insiders Tor Arne Øvrebø and Per-Henry Borch tells of high international demand for access to scenic filming locations in the Norwegian wilderness. In an interview with the Norwegian newspaper Aftenposten, the two line producers lists international movie giant Marvel Studios as one of several companies that have shown keen interest in having key scenes for their upcoming movies shot in Norway. “The people behind a block buster movie in the making, courtesy of Disney owned Lucasfilm, want to use the ‘Pulpit Rock’ as a monumental location for the final scene in their movie”, says Per-Henry Borch. Earlier this summer the two line producers met with representatives from international movie companies and took them sightseeing in western Norway. The two men do not give any specific information about which movies that may be filmed in Norway, but the Aftenposten article states that the paper has reasons to believe there may be a Stars Wars sequel among them. 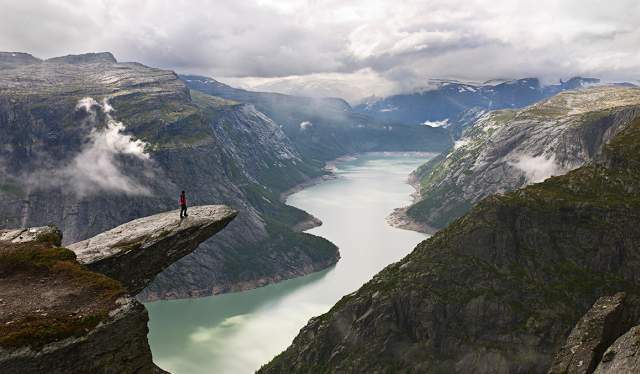 According to Borch, Hollywood shows interest for filming in locations like the Pulpit Rock, Trolltunga (troll tongue) and the glacier at Folgefonna, amongst others. Earlier this summer Alexander Payne’s movie “Downsizing” starring Matt Damon have been filming in Trollfjorden in the north of Norway. The production of crime writer Jo Nesbø’s “The Snowman” featuring Michael Fassbender as inspector Harry Hole was shot in Oslo earlier this year.